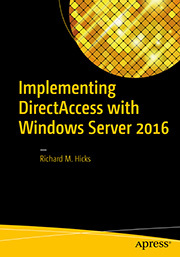 Implementing DirectAccess with Windows Server 2016 | Richard M. Hicks Consulting, Inc.
“Implementing DirectAccess with Windows Server 2016“, the definitive guide for installing and configuring DirectAccess in Windows Server 2016, is now available. 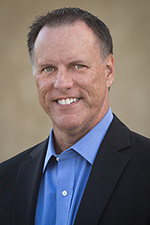 The book can be found on popular sites like Amazon.com, Barnes & Noble, Springer.com, Apress.com, and others. The book is also available in electronic formats such as Amazon Kindle and Barnes & Noble Nook, as well as a variety of subscription formats including Safari, Books24x7, and SpringerLink. This book contains detailed and prescriptive guidance for the planning, design, implementation, and support of a DirectAccess remote access solution on Windows Server 2016. 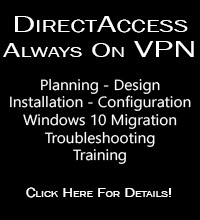 With it you will learn to deploy DirectAccess in a secure, reliable, and supportable manner with valuable insight, tips, tricks, and best practice recommendations gained from my many years of deploying DirectAccess for some of the largest organizations in the world.